As Darjeeling prepares for a Hill Business Summit (HBS) to be held in the town on 13- 14 March, officials of the Gorkhaland Territorial Administration (GTA) and representatives of the Confederation of Indian Industries (CII) held a meeting in Kolkata on Tuesday, followed by another inter-departmental meeting with the state government on Wednesday. 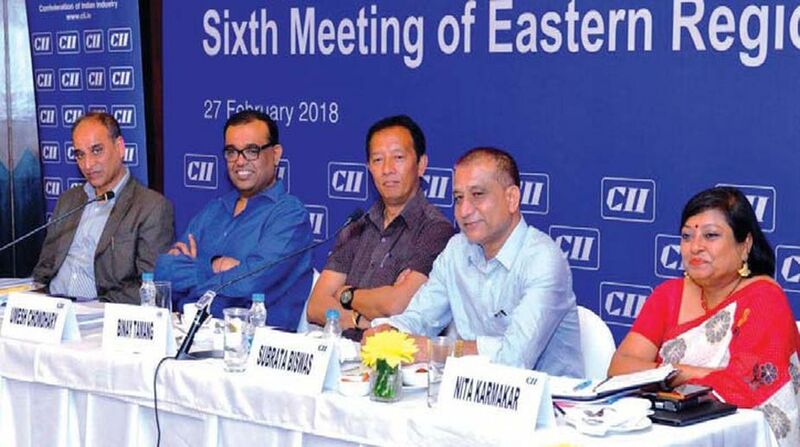 The industrial meet in Darjeeling is being organized jointly by the state government and the GTA, mainly to try and woo investors to the Hill region. In a press release he issued on Wednesday, the chairman of the GTA Board of Administrators, Binoy Tamang, said, “The meeting with state government officials on Wednesday at Nabbana was fruitful and positive. We passed a number of resolutions that will benefit the people in this region and help give the economy a much-needed boost.” According to Mr Tamang, plans are afoot to set up an ‘auction centre’ for farmers of the Hills and plains in Siliguri, while a decision was also taken to start eco-tourism and homestay facilities in the Hills by training youths in adventure tourism. “Keeping in mind the several heritage structures the Hills have, a proposal was also passed to convert old buildings into heritage hotels as part of an effort to promote heritage tourism,” Mr Tamang said. 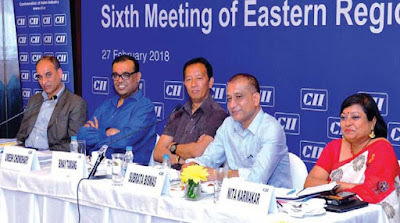 On the meeting with the CII on Tuesday, Mr Tamang said, “In the meeting with the CII, we requested 31 investors to attend the two-day business meeting in March, which includes people like the chairpersons of the ITC and AMRI hospitals. Apart from that, we have also invited representatives from various sectors like tourism, health and tea. Some big names in corporate houses will also be coming as we are in touch with them.” “The HBS will be a historic event for the Darjeeling Hills and employment can be generated for the youths if investors are roped in here. We also know that ensuring security for the investors and building confidence is of prime importance, for which the GTA will extend full cooperation to industrialists who want to invest in the region,” he said. Apart from Mr Tamang, the GTA was represented by principal secretary Subrata Biswas and secretary C Murugan, while other participants included Darjeeling MLA Amar Singh Rai and Kurseong MLA Rohit Sharma.